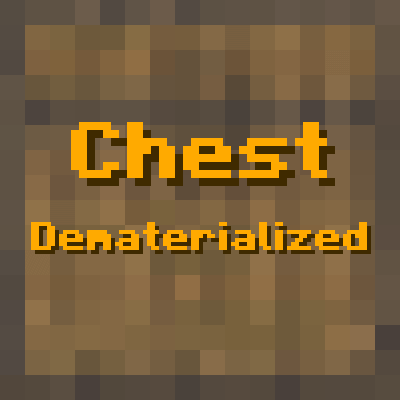 In Chest: Dematerialized you'll be confronted to 4 different tests dotted with small secrets. To accomplish thoses, you'll be helped by coloured blocks and items that gives you a permanent boost. The map counts 8 eastereggs (in form of advancements) as well as 22 other custom advancements to keep you up to date about your progression in the map. The map isn't very long, I finished it in 3'51" with 7 out of 8 eastereggs. Note that once you finish the map, you can retry each levels or restart the map entierly with 1 click! Beware, this spoiler tells you how to obtain the 8 eastereggs! You can also play the map in French, for that you need to change you game's language to Français (France), note that if you wish to play in English, you must set your game's language to English (US). Wanna try the map? Download it without any further ado!